There’s something about pugs that makes every pug lover and owner a total pug stalker. 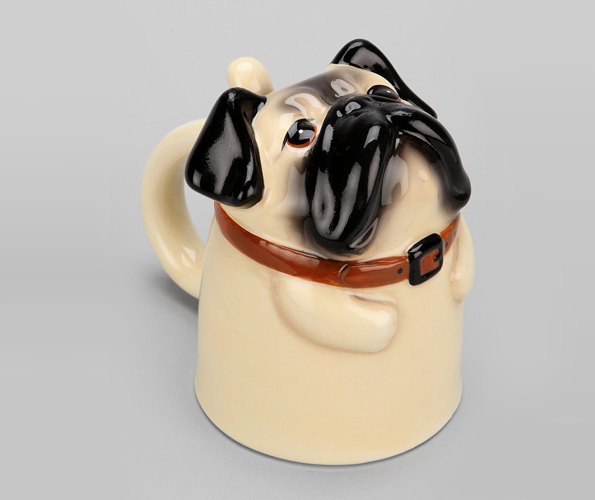 It isn’t enough to just love and care for their wrinkly, flat faces, you have to own lots of pug paraphernalia. Calendars, refrigerator magnets, maybe a bumper sticker or two. And now, a mug. 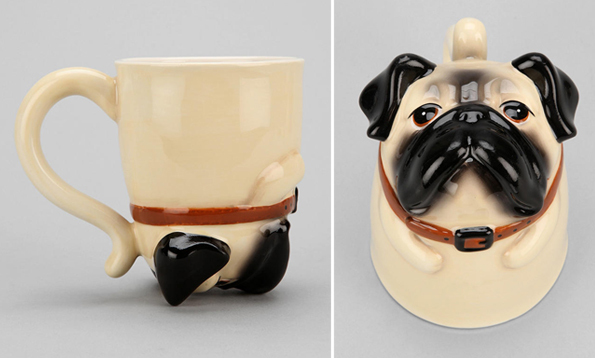 The Pug Mug is unlike others, in that the bottom features a fully detailed….mug of a pug!